The Freshman Fabulous: The Girl’s Guide to College: NEW BOOK RELEASE FOR HIGH SCHOOL GRADUATES AND COLLEGE FRESHMAN! Available on Amazon.com. The Freshman Fabulous: The Girl’s Guide to College NEW BOOK RELEASE FOR HIGH SCHOOL GRADUATES AND COLLEGE FRESHMAN! Available on Amazon.com. 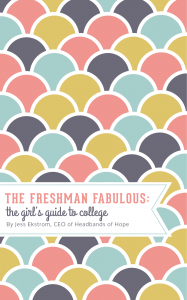 The Freshman Fabulous: The Girl’s Guide to College, is a humorous, helpful and honest interactive guide written by a recent grad, for the future grad. It’s filled with real stories and advice ranging from what to wear on your first day of class, what to do when you fail a test, how to get internships, what to eat at the dining halls, dating on campus, roommate troubles and safety on campus. I read a pdf copy of the book and found that it is very helpful and would make a great gift for girls graduating from high school and starting College. I think that girls will enjoy reading the stories and find the advice very helpful. Where: Now available on Amazon. By Jessica Ekstrom, Founder and CEO, started Headbands of Hope when she was a senior at North Carolina State University. A life-changing internship with Make-a-Wish Foundation inspired Jessica to become an entrepreneur in order to help children who suffer from cancer. This book isn’t a “how to book” to live a college experience like Jess did. But rather, a compilation of lessons learned in college. Through this book, readers will be able to use her stories as a foundation to map out their own college journey. Headbands of Hope is a socially responsible, American-made headwear line that for every headband purchased, donates a headband to a child with cancer and donates $1 to the St. Baldrick’s Foundation to fund life-saving childhood cancer research. 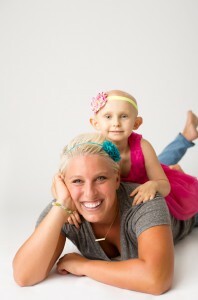 Headbands of Hope launched in April 2012 and has since donated over 30,000 headbands to children. 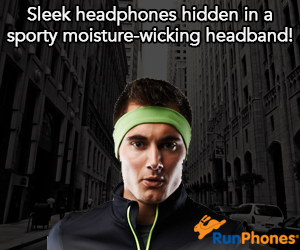 For more information, visit http://www.headbandsofhope.org. Self Disclosure: No compensation was received to post. I did read a pdf copy of the book to facilitate this feature.